The latest news surrounding OnePlus’ upcoming flagship smartphone – the OnePlus 7 sees two leaked shots of the smartphone surfacing on Weibo. The two images consist of the first one showing the phone being equipped with a curved OLED display, while on the other hand, the second image goes on to reveal some of the key specs that the phone might come with. 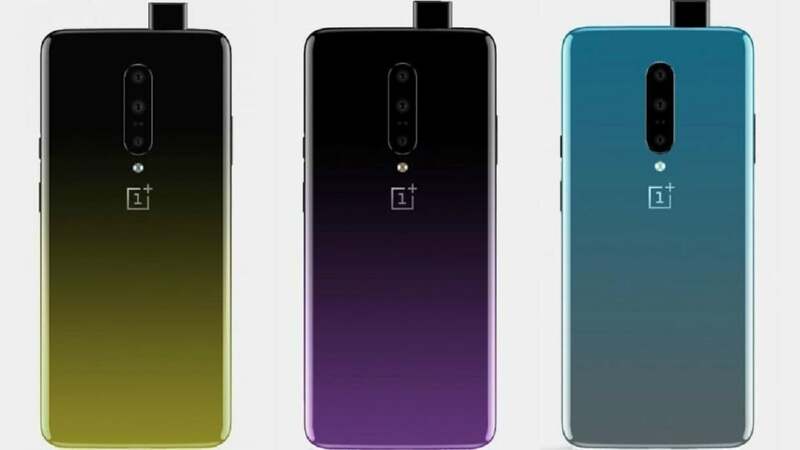 The second image also gives a bit of a detail with regards to the name of the device, with the alleged name said to be – OnePlus 7 Pro. One of the image shows that the smartphone will be featuring with a bezel-less design since it will come fitted with a curved OLED display. While the chin of the device is somewhat thick, the other bezels are small to non-existent. The case renders with regards to the phone have also surfaced in recent times, with these showcasing the phone being notch-less along with having a pop-up selfie camera. The pop-up selfie camera is not at all visible in either one of the two images which have been leaked, however, since the phone is indeed notch-less, one would have to imagine that it will feature with a pop-up front facing camera. Also, the display of the phone seems to be embedded with an In-display fingerprint scanner. Like I said before, the second image claims that the phone will be making its debut as the OnePlus 7 Pro. The model number for the particular phone is GM1915, and in the previous month, a OnePlus phone with the same model number was also approved by the Bluetooth SIG certification body. The image also claims that OnePlus’ notch-less display will be called the ‘Super Optic display’. The size of the display will be that of 6.67 inches, and it is probable that the display will carry support for full HD+ resolution. It is also expected that the phone will get its juice from the Snapdragon 855, along with 8 gigs of RAM. The phone will be coming with Android Pie right out of the box. The phone will probably be running on Pie integrated with OnePlus’ very own OxygenOS 9.5. The phone will feature with a triple camera setup on the rear consisting of 48MP + 16MP + 8MP sensors.